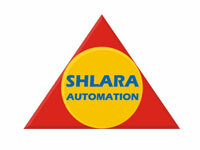 Shlara Automation- Providers Of Movement Control Technology Solutions for Pedestrian & Vehicular Access Management. Please find below the products and solutions we can offer to you. The Under Vehicle Scan System (UVSS) solution offered is an advanced Scanning System that uses High Resolution Area Scan Cameras with LED lighting for all weather scanning with self-cleaning mechanism. The enclosure is IP67 rated that can be offered with built in License Plate recognition software with Driver Face Image Capture. aggage Scanners from Tunnel Sizes of 1000mm X 1000mm are available. The colour differentiators for Organic, In-Organic & Mixed Substances are also available.